Comedy superstar Mike Myers writes from the (true patriot) heart about his 53-year relationship with his beloved Canada. Mike Myers is a world-renowned actor, director and writer, and the man behind some of the most memorable comic characters of our time. But as he says: "no description of me is truly complete without saying I'm a Canadian." He has often winked and nodded to Canada in his outrageously accomplished body of work, but now he turns the spotlight full-beam on his homeland. His hilarious and heartfelt new book is part memoir, part history and pure entertainment. It is Mike Myers' funny and thoughtful analysis of what makes Canada Canada, Canadians Canadians and what being Canadian has always meant to him. His relationship with his home and native land continues to deepen and grow, he says. In fact, American friends have actually accused him of enjoying being Canadian-and he's happy to plead guilty as charged. A true patriot who happens to be an expatriate, Myers is in a unique position to explore Canada from within and without. 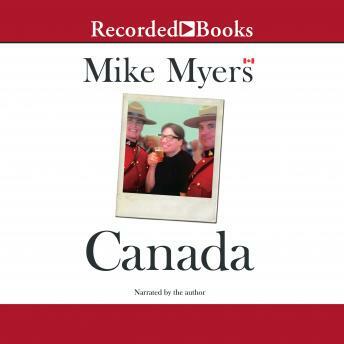 With this, his first book, Mike brings his love for Canada to the fore at a time when the country is once again looking ahead with hope and national pride. Canada is a wholly subjective account of Mike's Canadian experience. Mike writes, "Some might say, 'Why didn't you include this or that?' I say there are 35 million stories waiting to be told in this country, and my book is only one of them."